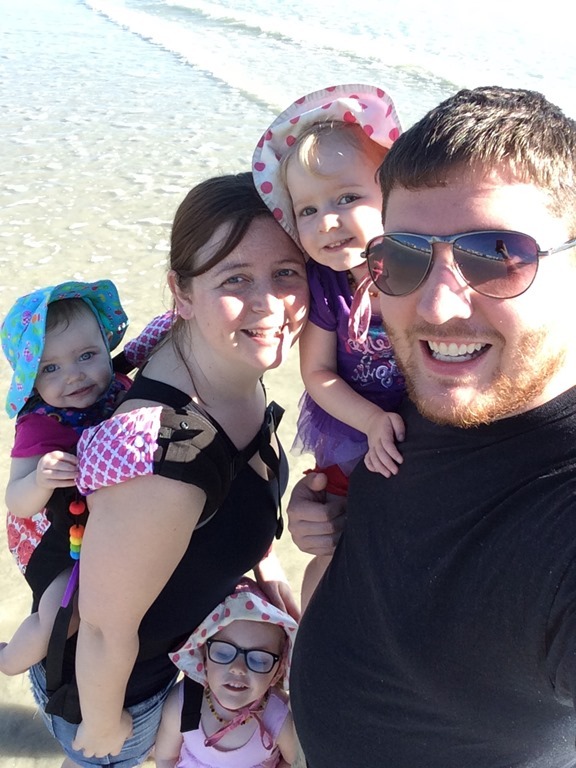 Lyra decided that our trip to Florida (work conference and a few days vacation) was a perfect time to cut her one year molars. 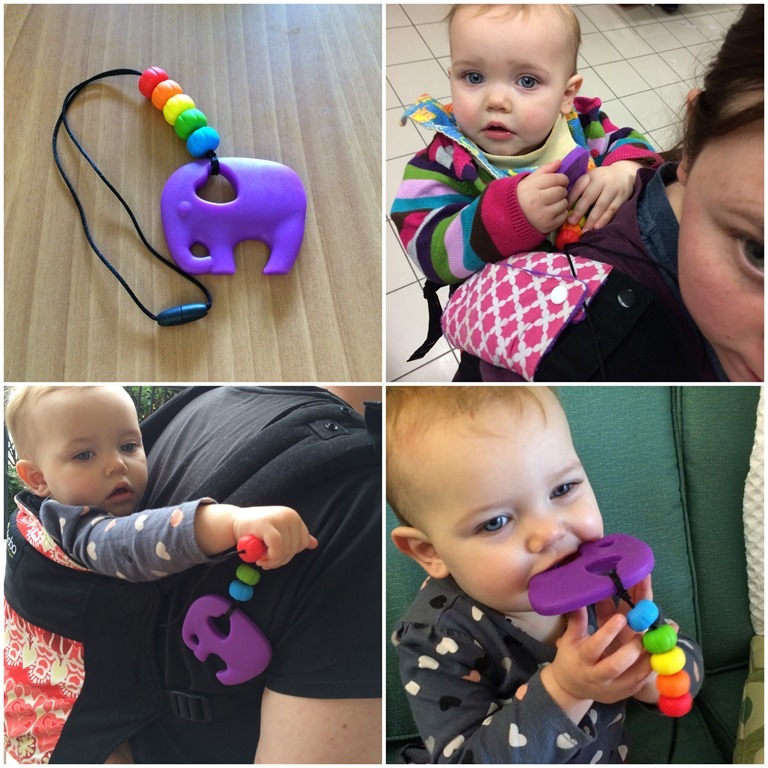 I realized this about a week before we left and I quickly contacted Jen from Yummy Mommy Teething Jewelry to see if she could make me a teething toy that I could attach to my Boba Carrier. Lyra would be on my back for the majority of almost 2 weeks and I needed something for her to play with besides my hair, and something for her to chew on for her teeth. Well Jen totally delivered. 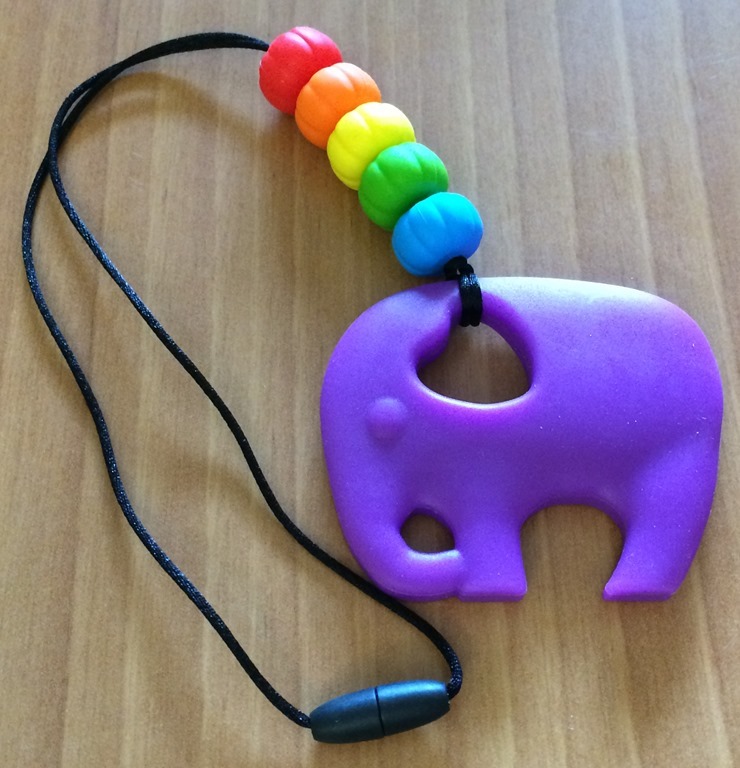 She made this amazing teething toy with a cute elephant and beads. 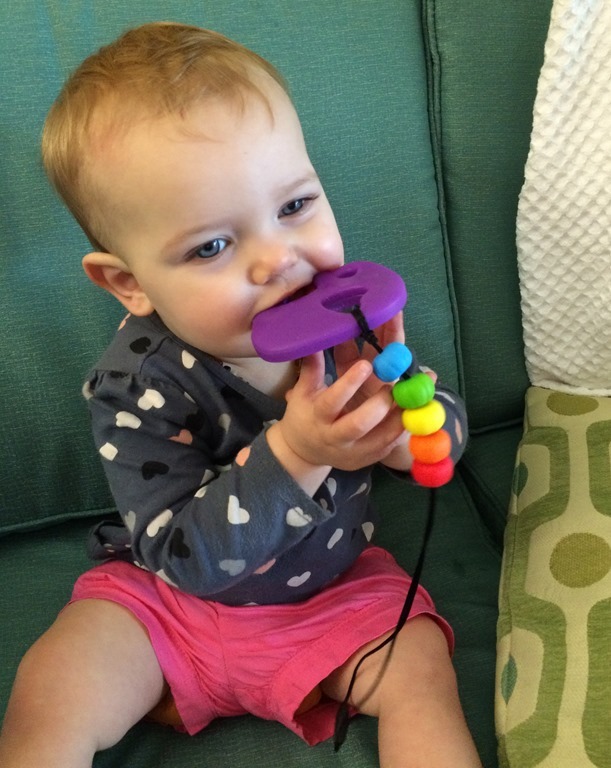 Her product is made with food grade, non toxic, BPA free silicone so perfect for little people to chew on. Even when she was not on me she still played with and chewed on her new teething toy. It really helped make teething a bit more bearable. Also babies in shorts are super adorable. My only concern that was quickly dashed was that she would pull the cord hard enough and we would lose the toy in an airport or when we were out and about. But she was never able to pull it off and it survived all of our adventures. 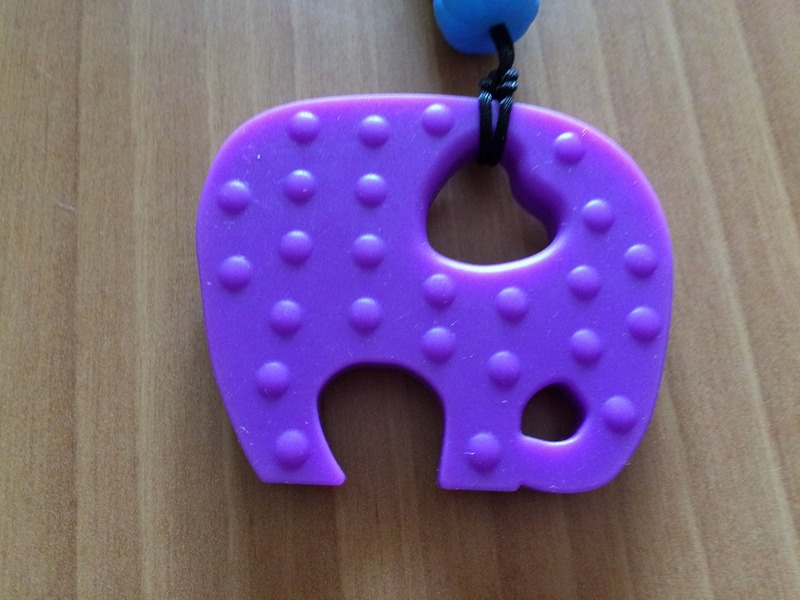 Yummy Mommy Teething Jewelry is located in Halifax, Nova Scotia which is great because I love supporting local. Her necklaces make great gifts for new moms.